In this episode with our guest speaker Barry Selby, we explore what is self-love and why it has been underrated, overlooked and why it is absolutely necessary. Barry Selby is a best-selling author, sought-after inspirational speaker, and relationship attraction expert. He a passionate champion for the divine feminine, helping strong successful women create balance in love, life, and business. He helps women own and express their feminine magnificence and majesty, in love, and in the world. Today we cover what is self-love, where should we start loving ourselves, and how can we do so blissfully and deeply. One of my personal and favorite elements we addressed within this self-love topic is how powerful and valuable it is to explore, discover and acknowledge our CORE VALUES, which are very important to create conscious relationships with self and others. Imagine how you would love yourself if you were not influenced by the media and the external world. Imagine creating your life from that place. Today Barry and I talked about how media influences us to define what love is, which actually may not be the best message out there because it leaves our unique and authentic self-definition powerless since we are not honoring the definition that is the most important to us, our own knowing we are WHOLE. Does self-love lead us to stop judging ourselves? Yes, tune in to learn more about how to stop judging ourselves (This whole conversation was my own personal breakthrough in how to deal with self-judgment) with a simple morning/night ritual that in 30 days will transform your life. Is self-pleasure self-love or self-care? Yes, we talked about sexuality a bit and why focusing too much on the self-sexual pleasure we miss exploring what else is available in loving ourselves to create the life we desire and how learning to properly love ourselves amplifies our sexual fulfillment. 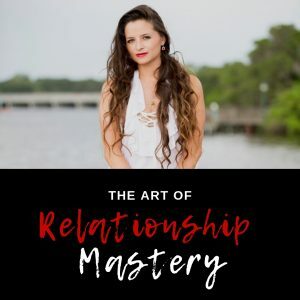 In this 36 minute interview, we also share practical tools and examples on how to love ourselves at a deeper level and why this will attract true love into our lives and open the door to infinite possibilities to create what we desire in life. Join this yummy conversation today, like us and subscribe to our podcast/channel.